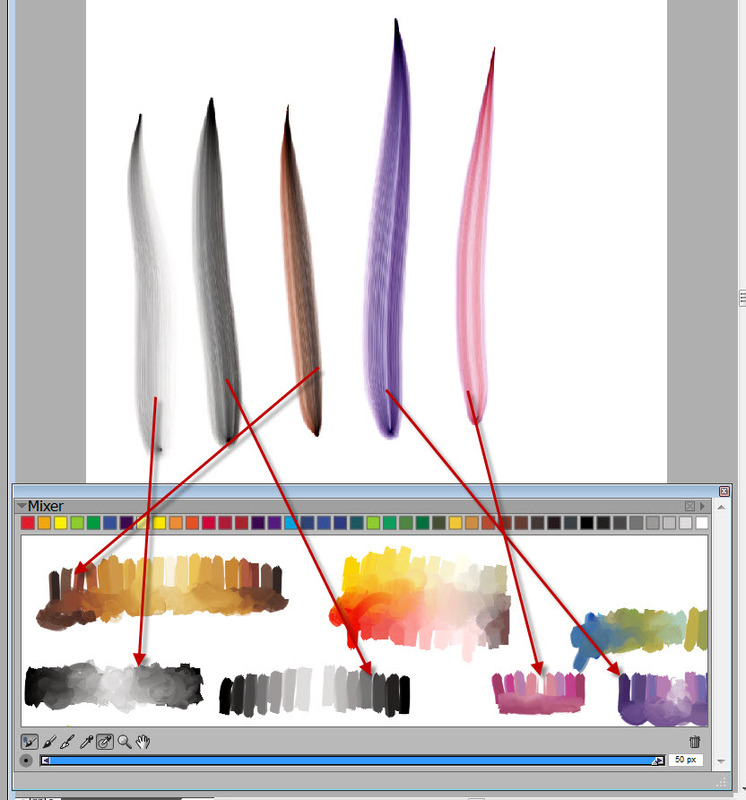 I think I have mentioned that I am working on some new brushes for Painter 12 using the Real Watercolor brush engine. I really love the brushes created with this new engine. 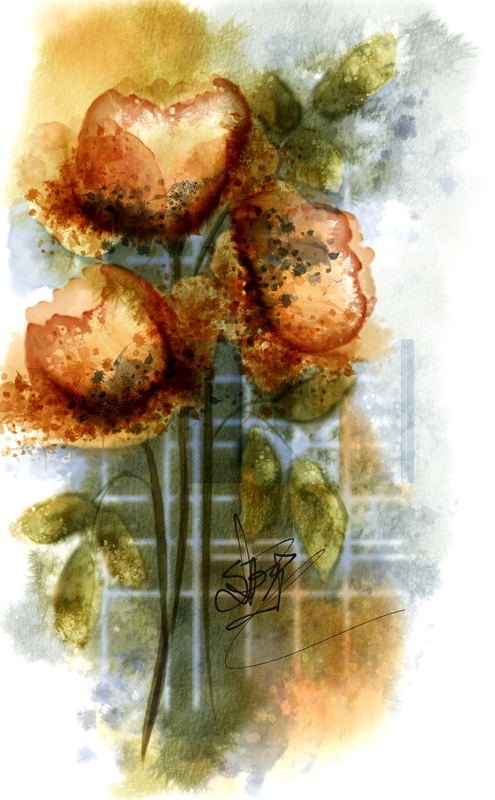 The watercolor and digital watercolor categories mixed with the real watercolor category can create a watercolor look and feel. At this point in the brush making process, I paint with the new brushes; I take them for a spin and kick their tires. I will do a number of paintings each with a different technique or approach. It is a fun exercise, but not all the paintings are successful. I guess we better get started. Each video is 10 to 15 minutes long, with most being close to 10 minutes. Whew, that is a bunch of videos. I hope you enjoy them. Painter 12 Rocks!!! Don’t forget to visit Studio|Chris and pick up the MXSMaker. 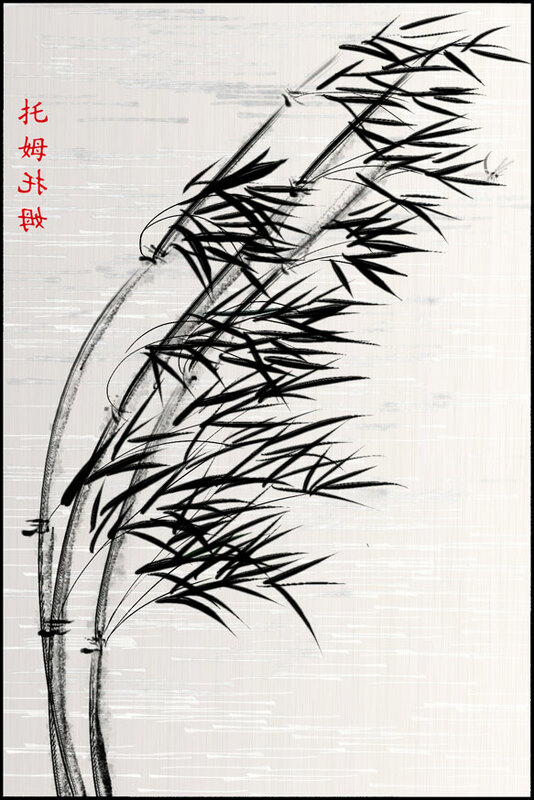 Sue made a comment on the last post that the bamboo would look good printed on silk. It was a timely comment because I had just finished a piece with a background that looks like the piece was printed on silk. I called this one wind. 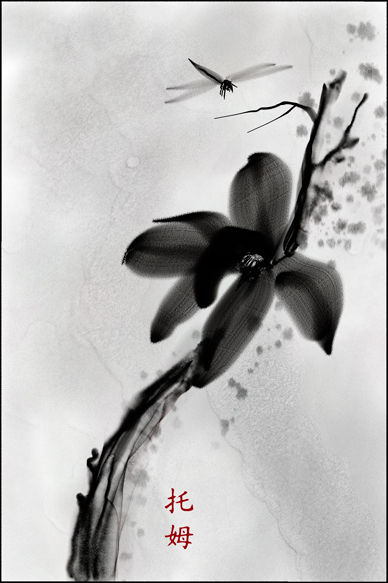 I love watching You Tube videos of sumi-e paintings. There is something intriguing about the process. When I found out that Open Studio at Digital Art Academy was going to focus on sumi-e, I was delighted. I began to practice. No matter how hard I practiced, the process felt muddled. Did I just need more practice? Of course, but who has time for practice. Good brush painters hone their skills for decades; I had a matter of weeks. Surely (tongue in cheek) with the right brush I could be a Master in less than a few days. I knew it was impossible, but what else is a hardhead good for, if not for banging it against an impossible goal. “Many things,” he replied rather too simply. “Well, duh. You champion the obvious. I’m asking for one essential behavior.” Sometimes Kevin can be so obtuse. “Exactly, a perfect function of the brush. What? Never remedy? Don’t be rude or I’ll run the CCleaner you hate? “What we need is the ability to sample multiple colors with one brush, and Painter has that exact function. It is located in the Mixer Pad. This is the sample multiple colors dropper. It will sample a range of colors from a single pixel to 50 pixels. “Aha…you jest. Are you telling me that you can eyeball 50 pixels on the screen? I think not,” he chuckled; well it was more like a giggle. “No, of course not. I do a little trial and error to get the right range, but most of the time, I leave it at 50 pixels and change when needed. Check this out. “The slider is set for 50 pixels and I sampled color from just beyond the tips of each arrow. You can see the resulting strokes. Obviously, 50 pixels is not very big; plus, there is a bigger problem. Not all brushes can use the sample multiple function. “Some, yes; others, no. But I get your point. Explain the General Palette. 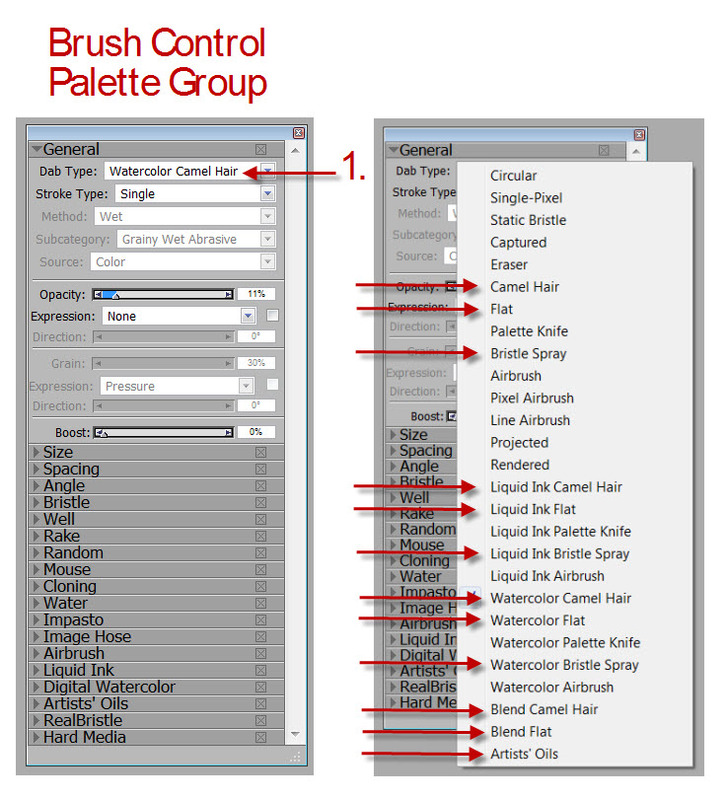 “Under Window > Brush Control you will find a palette group consisting of a number of palettes relating to brush controls. The General Palette is first in the list. 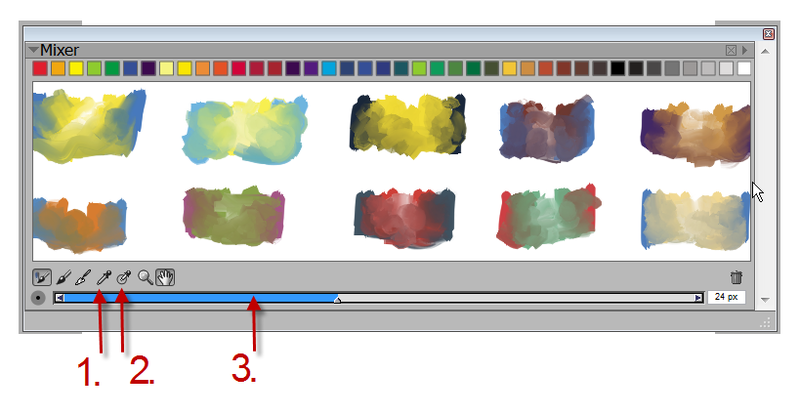 “If one of the following four words is listed in the first drop down menu, then the brush can sample multiple colors from the Mixer Pad: camel, flat, and bristle spray. The illustration identifies all dab types that can use this function. “You got lucky. There are many more obstacles ahead,” he said with a certain amount of glee. He delights in my struggles. I wonder if all computers are like that, or if I got the only one. I promised to give you the Eastern Brushes. Download them here. The Eastern Brushes conversation will continue. In the meantime, you may want to download a free webinar that Karen Bonaker and I did about how to use the Eastern Brushes. The webinar lasted for an hour and 20 minutes, so the zipped file is around 170 MB. You can download it at Painter Talk, but you will need to register. 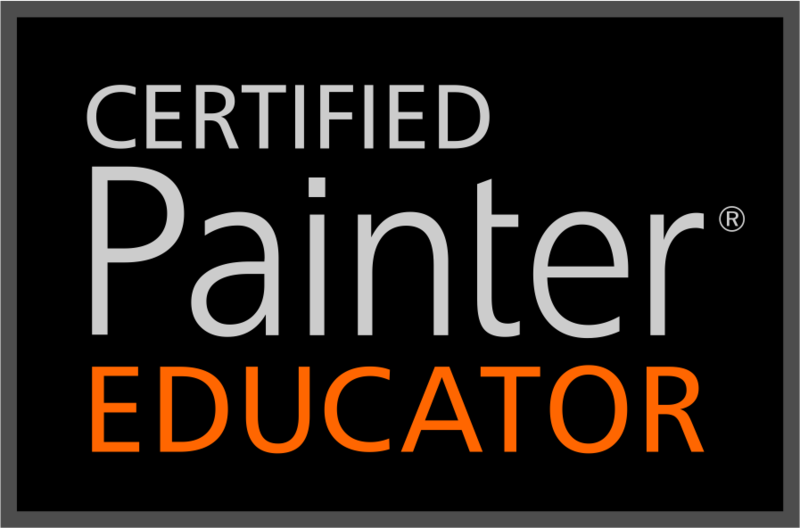 It is a free forum; lots of Painter enthusiasts are members. April edition of Digital Paint Magazine is available. It is a free subscription. 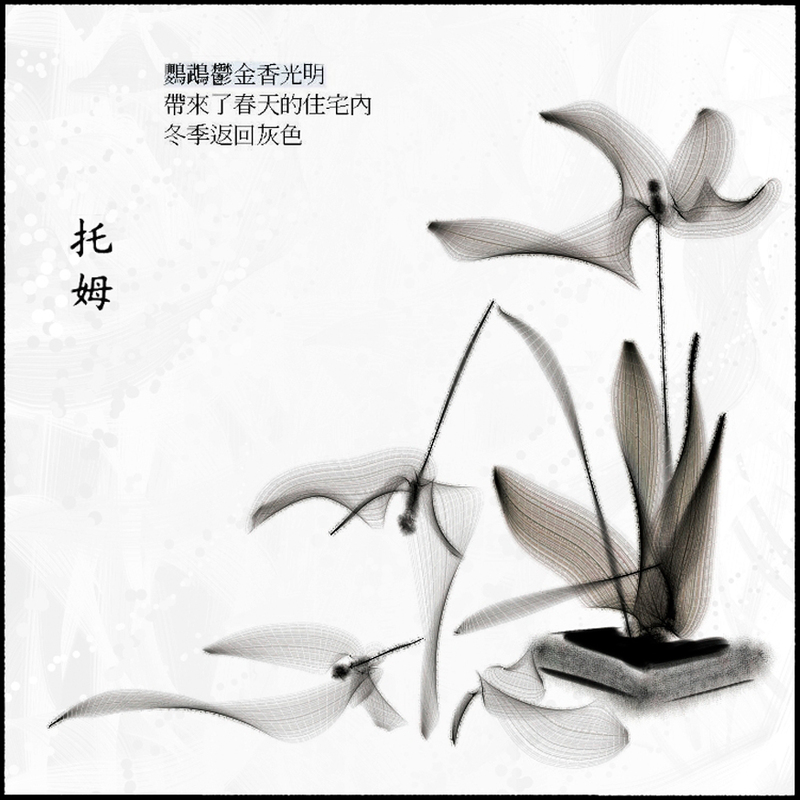 The next image is referred to as a Haiga, a combination of Haiku and ga.